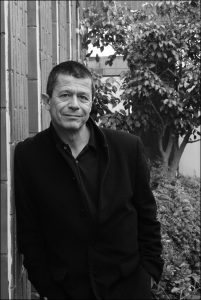 French novelist, biographer, director, screenwriter, critic, and journalist Emmanuel Carrère has won Guadalajara International Book Fair’s annual Romance Languages Award. Emmanuel Carrère has been named the recipient of the Guadalajara International Book Fair’s most prestigious award. Announced in a press conference this week, Carrère is to be given the award on the first day of the fair—the largest in Mexico—which this year runs from the 25th of November through December 3. 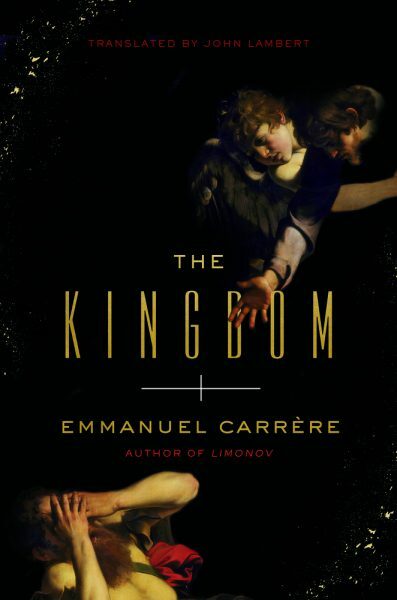 Citing Carrère’s “versatile body of work that has garnered enthusiastic international recognition,” the jury has named the author of La Moustache and The Kingdom, translated from the French by John Lambert. to receive this year’s prize. Awarded annually since 1991, the prize is given to a poet, fiction writer, or creative nonfiction writer working in Catalan, French, Galician, Italian, Portuguese, or Spanish. The award carries a purse of US$150,000, funded by a consortium of Mexican government agencies, banks, and universities. A total of 72 nominations were received for this year’s award, from 18 countries. Last year’s award was won by Romanian author Norman Manea, and previous winners include Enrique Vila-Matas of Spain, Italy’s Claudio Magris, and Mexico’s Fernando del Paso and Margo Glantz. 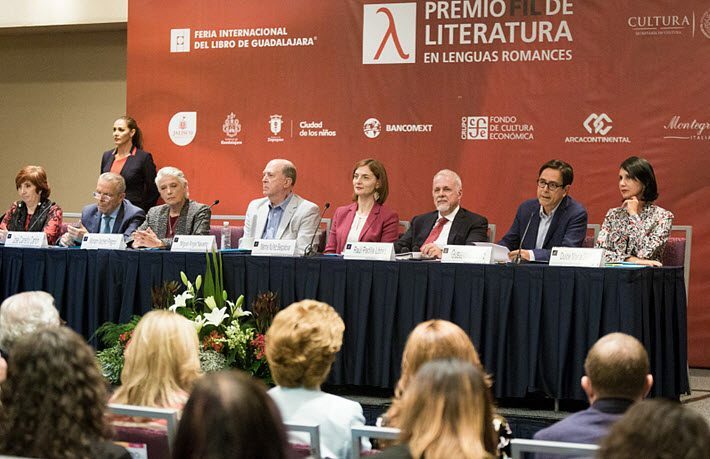 The jury comprises Spanish writer Mercedes Monmany; Colombia’s Jerónimo Pizarro; US writer and publisher Valerie Miles, co-founder of the Spanish-language edition of Granta; Peru’s Efraín Kristal; Colombian Héctor Abad Faciolince; Romanian Carmen Muşao; and Venezuela’s Gustavo Guerrero. The jury describes Carrère as “an heir to Michel de Montaigne and Jean-Jacques Rousseau.” In his work, they write, “Autobiography acquires a critical dimension that allows him to paint himself without concessions and to take risks and explore dark zones of the contemporary condition. “A writer of a multimedia circulation,” the jury writes in its statement, Carrère is “also working in cinema and television, but without separating himself from the great humanist tradition. 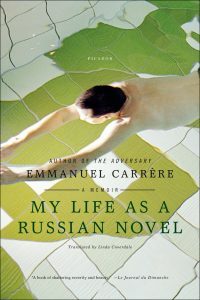 Born in 1957 in Paris, Carrère is the author of two memoirs, My Life as a Russian Novel, translated by Linda Coverdale and published by Metropolitan Books/Picador, and Other Lives But Mine, also translated by Coverdale. And his Limonov is translated by John Lambert and published by Penguin. Carrère directed the 2005 film treatment of La Moustache, and the 2002 film L’Adversair, directed by Nicole García, is based on a novel by Carrère. The Guadalajara International Book Fair runs November 25 to December 3 at Expo Guadalajara.